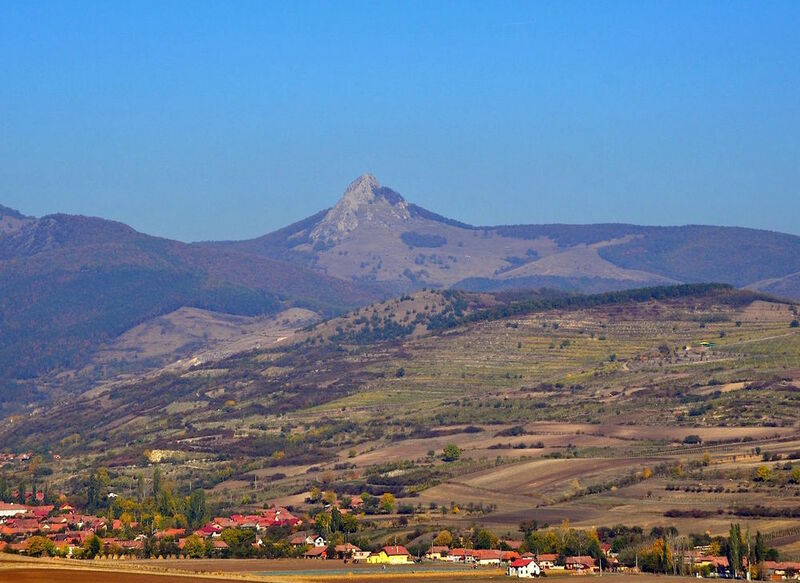 More than two thousand years ago, the Dacians inhabiting what is now Alba County, Transylvania, gave their name to a small urban settlement called Apulon. Very few ruined remains of that fortress have survived to this day, but it is a well-researched fact that, back when it was first established, the Apulon citadel was a center of great strategic importance, first serving as capital for the Apuli tribe, and then maintaining its position as capital of the Dacia Apulensis district after being conquered by the Romans. It lay some 20 km north of the city of Alba-Iulia, on top of a mountain peak named Piatra Craivii, on a plateau that provided an excellent vantage point, allowing the inhabitants to watch over the entire surrounding area and, at the same time, defending them against attackers thanks to the three very steep versants – the western, northern, and eastern ones – that were virtually unconquerable. The mountain itself, a massive cliff reaching 1083 m at its highest, is a landscape of astonishing beauty shrouded in legends. According to one such legend, a long time ago a bride drowned in a bottomless pit hidden among the huge rocks of the mountain, and her body never resurfaced. An actual small pond exists in the area, called the Blindman’s Fountain, and it is believed to be connected through an underground tunnel to a mountain spring in the Cricau village, aptly named the Eye of Cricau. Another such legend speaks volumes about greed and the human nature in general: it states that the Piatra Craivii mountain opens up every seven years, revealing the path to the riches hidden within. On one such occasion, a greedy man happened to enter the belly of the mountain, filled his bag with golden coins, then hid the bag and returned for more. The mountain punished him for his rapacity, though, by closing him in, where he remains to this day, along with other unfortunate souls, groaning and crying throughout the night. Finally, a third legend has it that the most precious relic still hidden within this mountain is the head of the ancient Dacian ruler Decebalus, who is thought to have slit his own throat in battle rather than let himself fall in the hands of his enemy once he realized that defeat was imminent.